Most local cafés serve a freshly ground coffee and delicious cornetto for the less than you might expect to pay for a coffee alone back home. 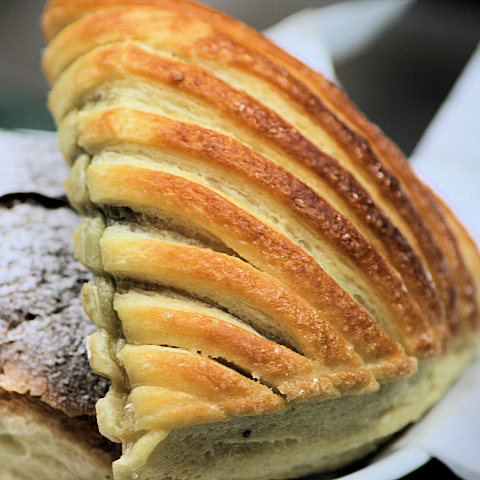 In case you’re not familiar with cornetti, they evolved from the same (allegedly Viennese) ancestor as croissants. Italian cafés tend to offer a much wider variety of these breakfast pastries than their counterparts in France, often of the cream filled variety. Some of the chocolate creams can taste a little sickly, except perhaps to a Nutella addict, but the custard (pastry cream) filling is scrumptious, if highly calorific. There’s usually a choice of vuoto (empty) alternatives if such early-morning treats are too rich for your blood sugar levels.